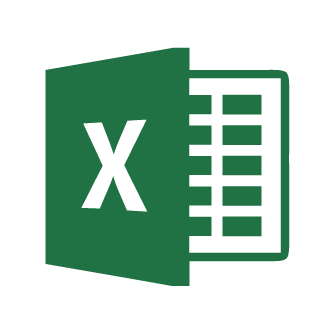 This module will teach you how to use Microsoft Excel to organize, visualize, and calculate your data. The links on this page will open in a new tab/window. Use the ‘Tell me’ feature to find a tool. In Excel 2016, you can type your desired task into the box that says, ‘Tell me what you want to do’. It will give you suggestions to help you find the right tool. Format your text using tools on the Ribbon. You can use tools in the Home tab to change the font size, colour, or type face; to make text into a heading; to change where the text appears in a cell (top, middle bottom), and more. Reorganize your data using the sort tools. The Sort tool in the Data tab allows you to organize your worksheet by how you sort one column. Use Charts to visually display your data. The chart tools in the Insert tab allow you to create a chart from data in selected cells. Use Formulas to calculate, analyze, and work with your data. The Formulas tab contains a variety of formula tools that can help you perform calculations and other tasks to make use of your data. Check out some of the online tutorials available on Lynda.com - open in a new tab for essential training in Microsoft Excel. If you are attending an Ontario college, you can log in using your college credentials.